A tough call here. 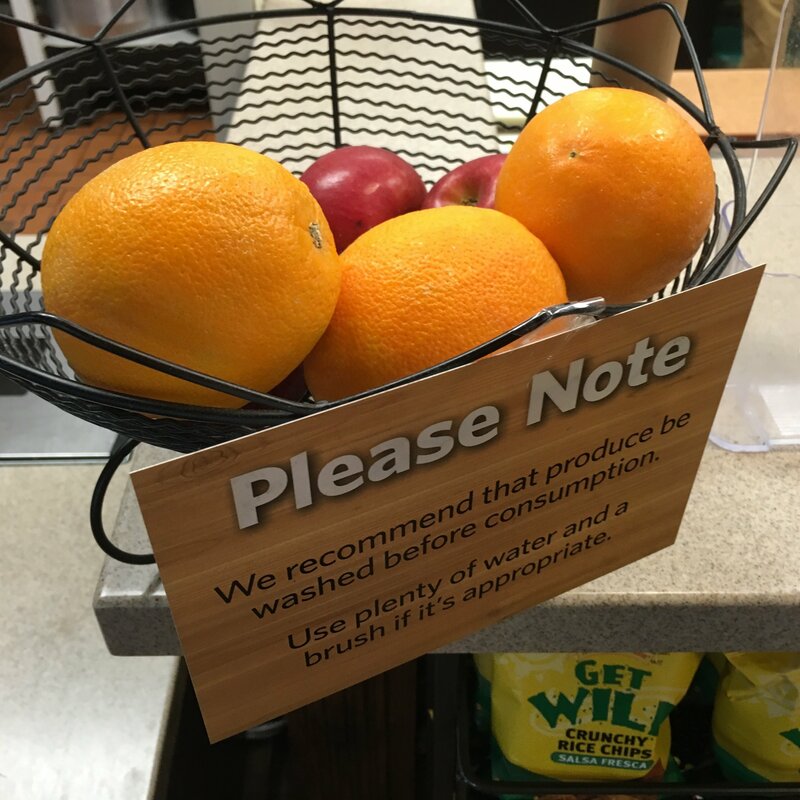 Store policy and basic intelligence recommend that you wash produce before eating. But a notice as large as the display must surely impact grab-n-go sales at the cash wrap. And if there was a candidate for exemption, wouldn’t be a peel-to-eat orange? A helpful note might be directions to a sink, basin or fountain for the recommended ablutions. Other minor fixturing was a decorative, the open wire bowl. Seen at Wegmans.